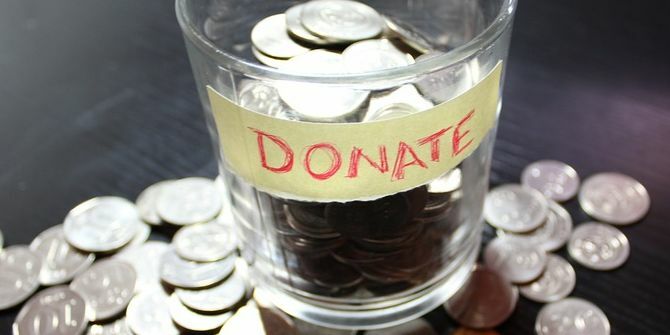 The Effective Altruism movement encourages a more pragmatic, efficient approach to charitable giving. But is such prioritising helpful, or does it inadvertently overlook aspects of human wellbeing that cannot be easily measured? Justin Thacker acknowledges that this ethic has some value but argues that it is too short-sighted to be an effective guide. We must identify and tackle the root causes of poverty, not just its material consequences. Effective Altruism (EA), one of the latest movements in the aid efficacy debate, is in reality not much more than a 21st century version of 19th century utilitarianism. And while utilitarianism has some value as an ethical theory, it should not be used to dictate all ethical decisions. In the same way, EA has some value, but it is not the metanarrative for aid efficacy that its advocates would like us to think. The fundamental tenet of EA is that we should make decisions regarding our charitable giving based on the effectiveness of the charities we support. Such effectiveness is measured numerically by means of the outcomes achieved per dollar of support that is provided. EA is therefore a form of consequentialism and, like all consequentialist ethics, it suffers from the problem of boundary conditions. Which consequences over which time period are relevant? Only those that were anticipated in the original project proposal, or all consequences over much longer periods of time? In a recent blog, Christian Aid pointed out that their tax campaigning work didn’t produce immediate results, but that persistence over the long term is what has contributed to two recent victories. Everyone agrees that aid efforts need to become more effective, but the question is whether the EA approach is the best one to identify that efficacy. For the reasons given below, I am not so sure. There’s a classic story about a development project that was seeking to improve school enrolment. As part of this project, community leaders were paid in response to the proportion of children that attended school. The project was a phenomenal success with rates of school enrolment increasing to near 100%. EA would no doubt have championed this project as one worthy of support, except that eventually someone actually visited the project. What they found was ‘classes’ of 50 or 60 children with no teachers, no teaching, no resources, simply children sitting in empty classrooms with nothing else going on. These children were enrolled; they just weren’t doing any learning. My point is that as soon as we choose one thing to measure then, unsurprisingly, the efforts of the providers go into improving that measure, and that measure alone. This problem is even more significant when we consider some contingencies that are highly relevant to development outcomes, but perhaps by definition unmeasurable. How for instance do you measure someone’s sense of dignity and self-worth, or community relations, or a sense of entrepreneurship or resilience? All of this matters for development, but according to EA, if we can’t measure it, we should discount it. The EA approach smacks of the largely discredited basic needs approach that thought you could define human wellbeing by a simplistic series of measurables. Unfortunately, you can’t. Almost all theological anthropologies recognise that, yes, humans are biological creatures who require food, warmth and shelter, but we are also social and spiritual creatures. And as the Voices of the Poor reports demonstrated, if you ask the poor themselves what matters most to them, then such social and spiritual factors often matter just as much. EA restricts its frame of reference too narrowly to what can be measured, but the reality is that some of the most important things in life cannot be counted, and therein lies the problem. In his book Doing Good Better, William MacAskill, one of the co-founders of EA, spends much time encouraging an ‘Earning to Give’ approach to altruism. The basis of ‘Earning to Give’ is that for some of us we can do far more ‘good’ if we seek careers in which we earn as much as we can with a view to donating a good proportion of those lifetime earnings to effective charitable causes. …many (but not all) financial traders make profits at the expense of other traders, so they’re moving money around, mostly from rich people to other rich people. Of course, there are some people who cause harm in these industries, but that’s true of any industry. So the message seems to be – there’s only a small amount of harm in these high-earning jobs, and that is outweighed by all the charitable donations that these higher earners make. If that were true, there would be nothing to object to, but it is not. In my book, Global Poverty, I drew attention to the way in which the West is a net drain on African resources to the tune of $60bn a year. We like to think that cumulatively the West donates to sub-Saharan Africa, but in reality we extract far more than we give. Such extraction takes the form of debt servicing, climate change adaptation and especially tax evasion. And the companies doing this are not small, local ones, but large multinationals – the ones that provide the high-earning jobs. Again, the problem here is that EA naively thinks that our values are fixed, and so working in a high-earning industry won’t erode the social justice values that prompted the individual to earn as much as they can. Somewhat inconsistently, they provide anecdotes, not data, to support this claim. While of course there are some individuals who buck this trend, there is also evidence that older age groups tend to become cynical about poverty, suggesting that the justice values of one’s youth do diminish as one gets caught up in a high-earning consumer lifestyle. Christ’s injunction to be ‘in the world’ but not ‘of the world’ is salient here. On the one hand we are called to play the good Samaritan on life’s roadside; but that will be only an initial act. One day we must come to see that the whole Jericho road must be transformed so that men and women will not be constantly beaten and robbed as they make their journey on life’s highway. True compassion is more than flinging a coin to a beggar; it is not haphazard and superficial. It comes to see that an edifice which produces beggars needs restructuring. Of course, the root causes of poverty are complex and certainly not easily solvable. They go back to our colonial history, our approach to fostering debt, our contributions to climate change and our current approach to international trade. But having recognized this, any response to poverty that is worthy of attention must in some sense seek to address these root causes. There is nothing in EA that makes any attempt to do this. Giving to causes that provide discrete services to the poor – however effective they are – will not provide a long-term solution to poverty. Changing our current financial system and terms of international trade might. I would therefore be a happy advocate of EA if its focus was on lobbying the national and international seats of power to provide a fairer system, but in its advocacy of ‘earning to give’, I fear it may be doing the precise opposite – propping up a system that keeps the poor poor while making all of us feel that little bit better about ourselves. Dr Justin Thacker, Academic Director, Cliff College. Author of Global Poverty: A Theological Guide. 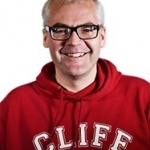 Research interests: theology and international development. Twitter: @drjthacker. 1. Agree the EA excessively privileges interventions where the outcomes are easily measurable – such as their famous example of anti-malarial bed netting. That was useful to know, and I now support that charity, but you’re right that it can miss bigger, longer term gains. For example, where would a charity dedicated to producing the next generation of uncorrupt politicians and civil servants in an African country feature? Impossible to measure, yet may deal with a multitude of the underlying issues in the long term. It’s not “either/or” but “both”. In fact the % global population living in extreme poverty dropped from over 40% in 1981 to around 10% now – an astonishing improvement. A lot of that has been due to world trade – the iPhones in our pockets mean former peasant in China sending their kids to university. Here are the data: https://ourworldindata.org/extreme-poverty Of course, that doesn’t mean that the factors you list haven’t played a part in making things worse than they need to be, although rather surprised not to see corruption and war on the list. Ask people in Syria about causes of poverty.